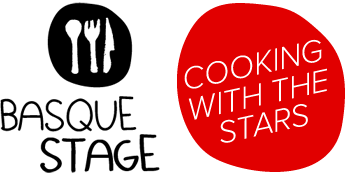 Since we launched this project in 2009 during Star Chefs Congress in NYC , we have worked on this project with enthusiasm , even devotion – it’s been an exciting task we have strongly believed in. … but the project needs more . Not to survive , but to improve . To remain a Great Scholarship . For this reason, we have allowed ourselves a break, during which we are already thinking of new formulas that will allow us to share projects of great interest with culinary students and young chefs from around the world . … we will be back soon! You may have been wondering how our Sammic Rising Stars Scholar Justin has been holding up on his BasqueStage experience. Well, the answer, as you may be able to guess from the ‘tomato salad’ above, is….fabulous. 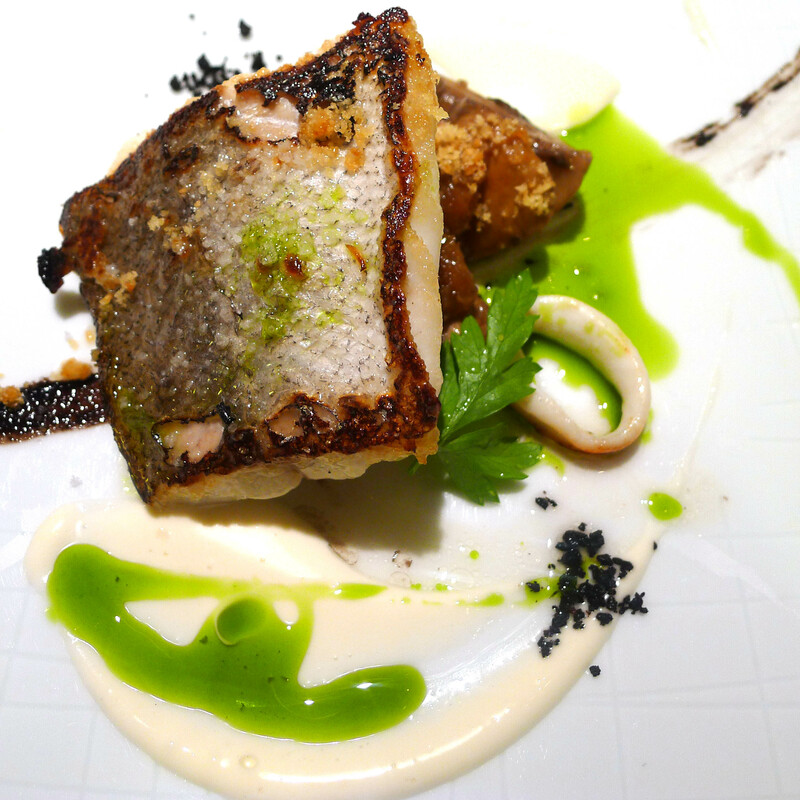 Justin’s three-month stage is at Xarma Restaurant, in San Sebastián. 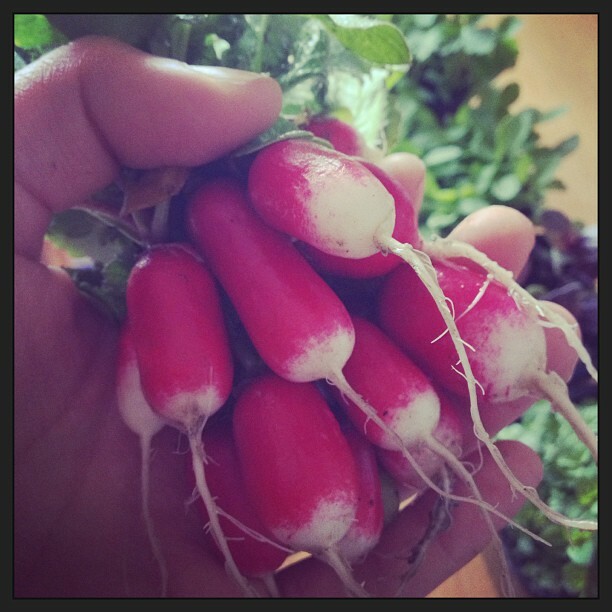 Xarma’s guiding principles are freshness, color, attention to vegetables as well as proteins. 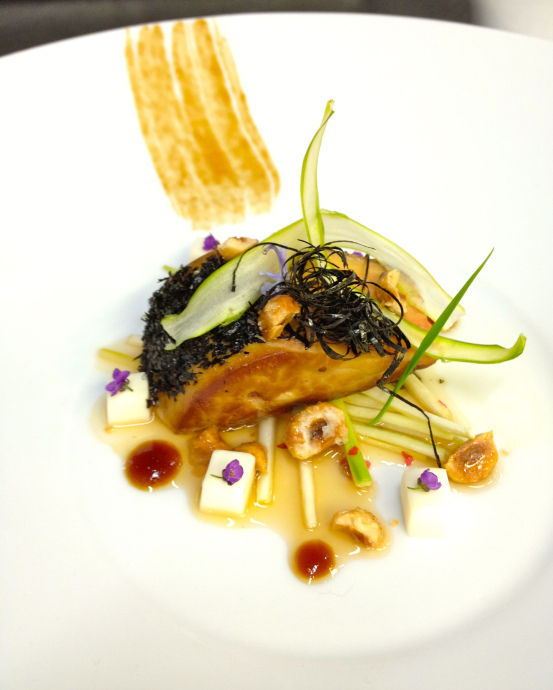 It’s a youthful cuisine, open to incorporating elements and techniques from other cuisines. It’s playful and vibrant. The young chefs at the helm, Aizpea Oihaneder and Xabi Díez, bring technique and innovation to the table at their small restaurant. 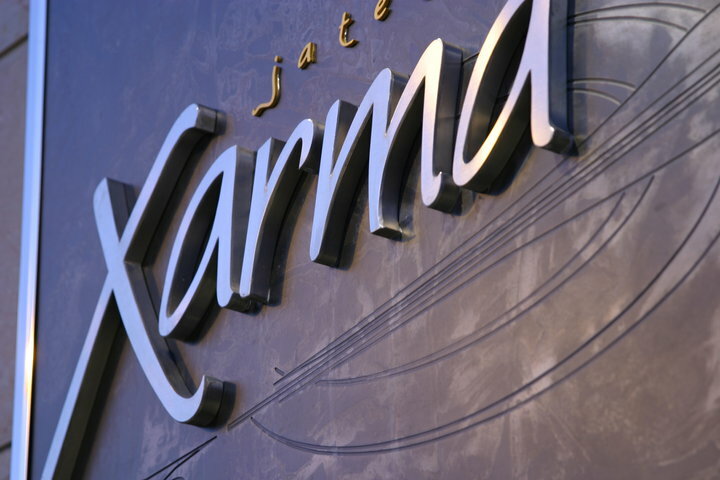 Their combination of commitment to the best Basque produce and their willingness to experiment makes Xarma a very special spot. For more updates on Justin’s adventures, follow him on his blog. To check out Xarma’s menu, visit their website. 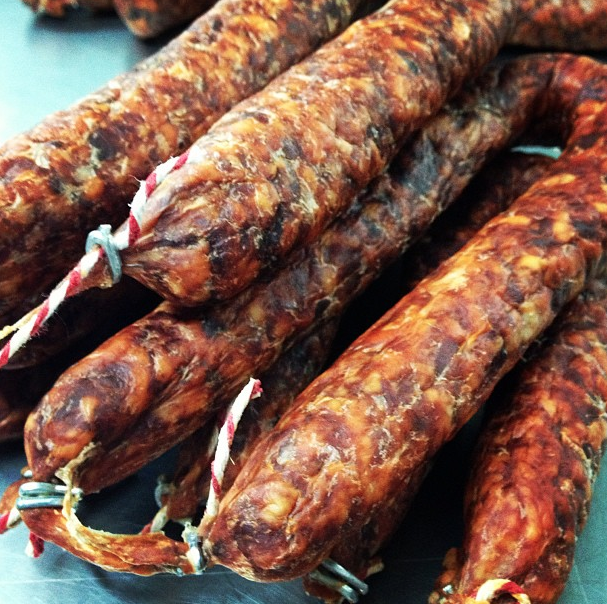 Tucked away in the hills outside of San Sebastián, there is a small family business that is devoted to producing the finest pork products this side of Basque Country: Ezkurtxerri. This is where our Top Chef Sammic Scholar Susy Santos is currently stationed, after her stage at Restaurant Martín Berasategui. She’s learning the artisan secrets to making traditional products like txistorra, chorizo, and headcheese from the folks at Ezkurtxerri. They take a special pride in the sustainable way they raise their animals. 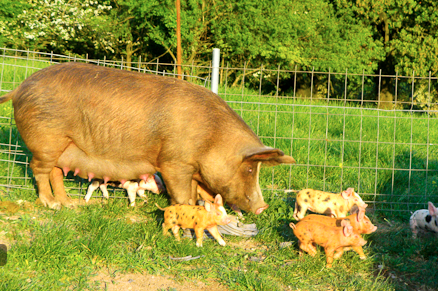 Their pigs live free, roaming the hills around the caserío , or country house. They dine on acorns, herbs, and mushrooms. After four months in a Michelin-star kitchen, Susy is stretching her limbs and her culinary skills with this very special Basque producer. Two weeks with Ezkurtxerri and then onto another artisan. Stay tuned! Our Sammic Top Chef Scholar Susy Santos has finished the Michelin-starred chapter of her BasqueStage: her time at Restaurant Martín Berasategui. 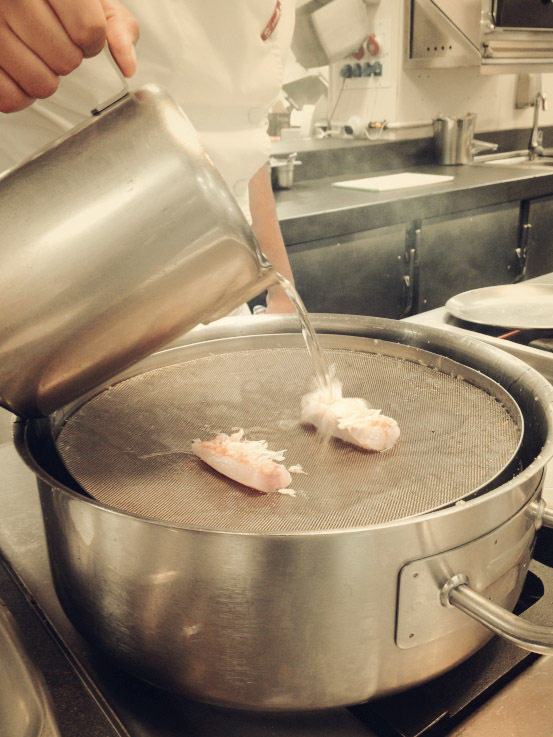 A high-pressure kitchen using top of the line equipment and techniques. Expectations were high, and many hours were spent meeting them. Now Susy moves on to the second part of her stage. 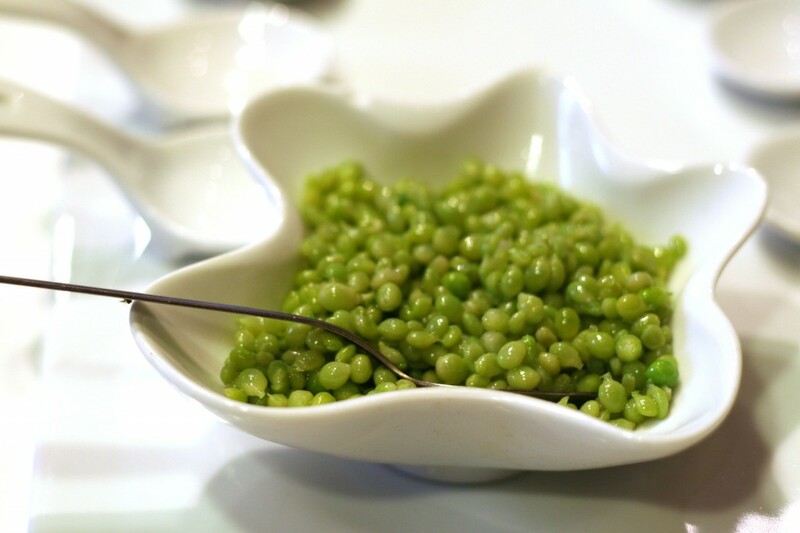 She will be working with some of the producers that make the culinary world go around in Basque country. 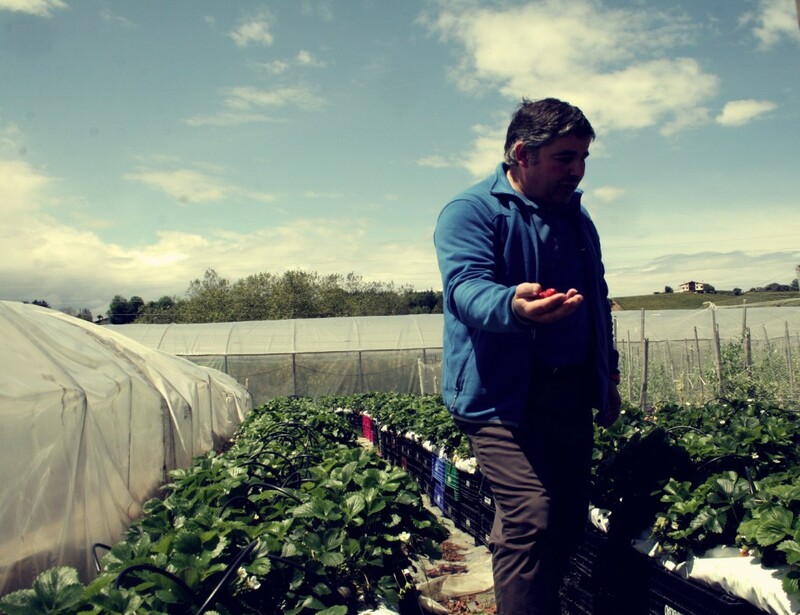 These will include: a pork producer, a gourmet gardener, and a rural bakery. Stay tuned for updates on her travels and excursions! So what is going on with Top Chef Sammic Scholar Susy and Rising Star Scholar Justin? But crafting them, mind you, from the very start to the very finish. As Susy and Justin are learning, no chef’s education is complete without an understanding of the faces and the land behind the food. Follow us on Facebook and Twitter to keep closer tabs on the whereabouts of Justin and Susy! 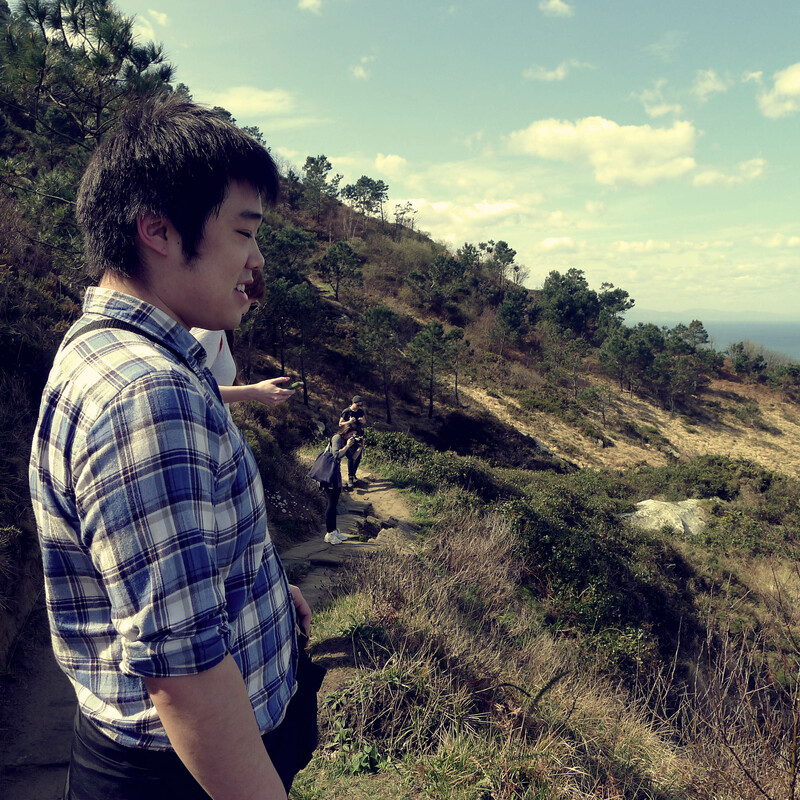 Our I Rising Star Sammic Scholar, Clifton Su, officially finished his three-month stage in the countryside of Basque Country. After staging at Roberto Ruiz’s Fronton, TPT, and solana.4 pintxo bar, he is off to America to continue his culinary journey. 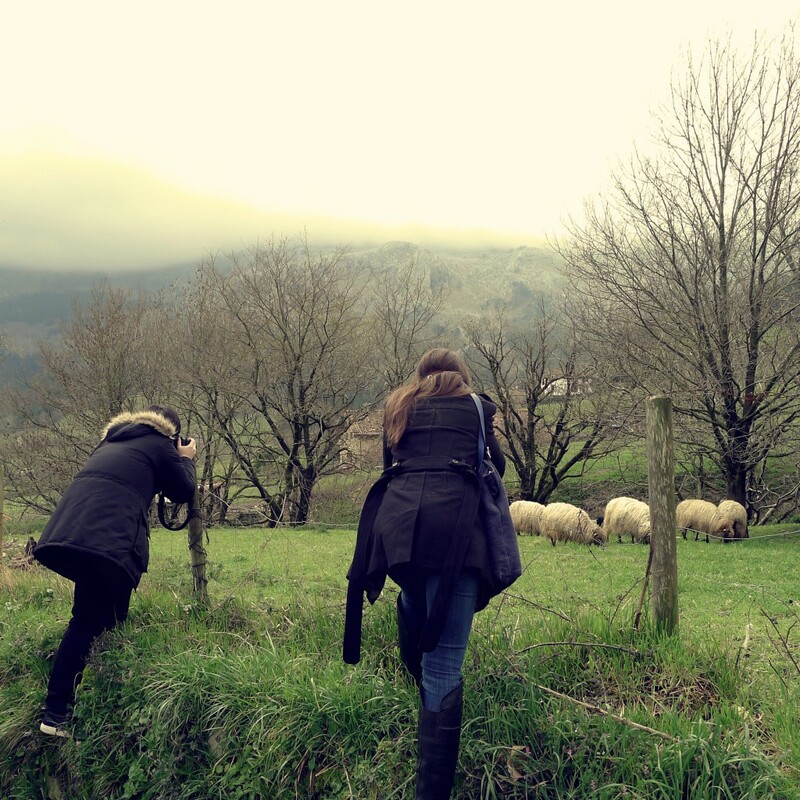 But not before we fit in a goodbye lunch, at Etxebarri in Bizkaia, Basque Country. Feasting on all manner of smoked and grilled meats and vegetables wasn’t a bad way to send off one of our BasqueStages. 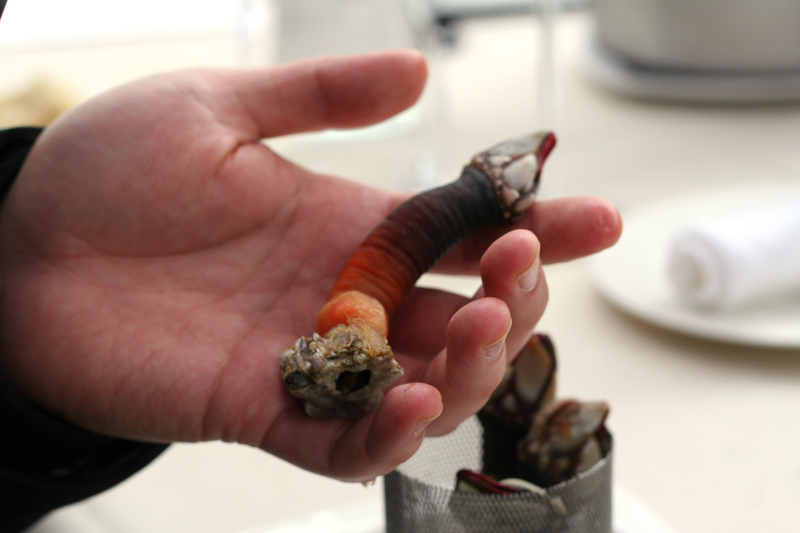 The goose barnacles, a local delicacy, were gigantic and spot on. 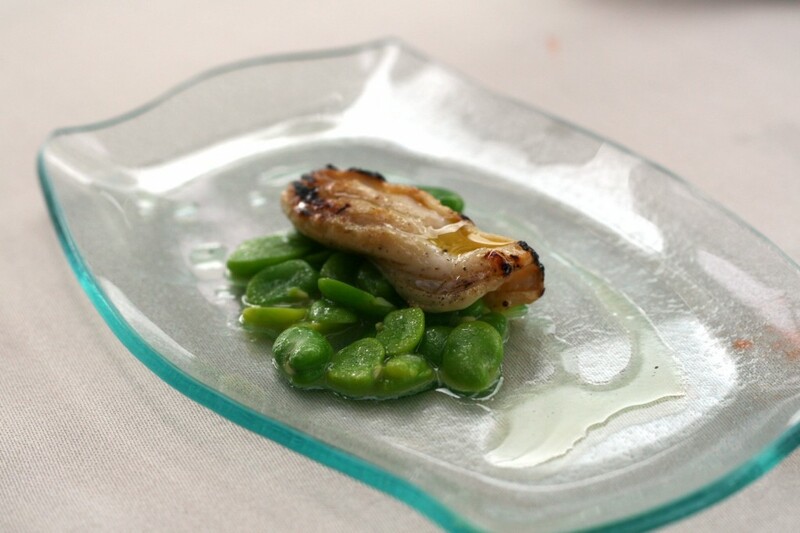 Sea cucumber with fava beans, all grilled to a perfect smoky state. 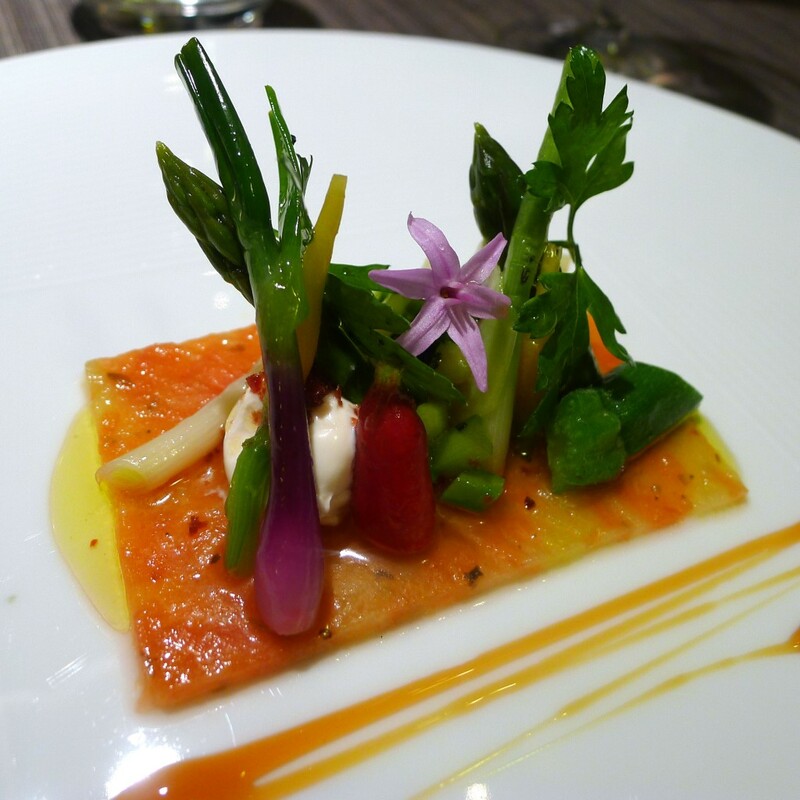 The tasting menu was incredible, and you can read more about it on Clifton’s blog. A great way to say goodbye. Sammic and BasqueStage will miss you, Clifton. Ondo pasa and come back soon! Educating young chefs doesn’t stop in the kitchen. Sure, there’s a lot to learn under any chef, much less a Michelin-starred one. But a well-rounded cook knows his artisans as well as his knife skills. 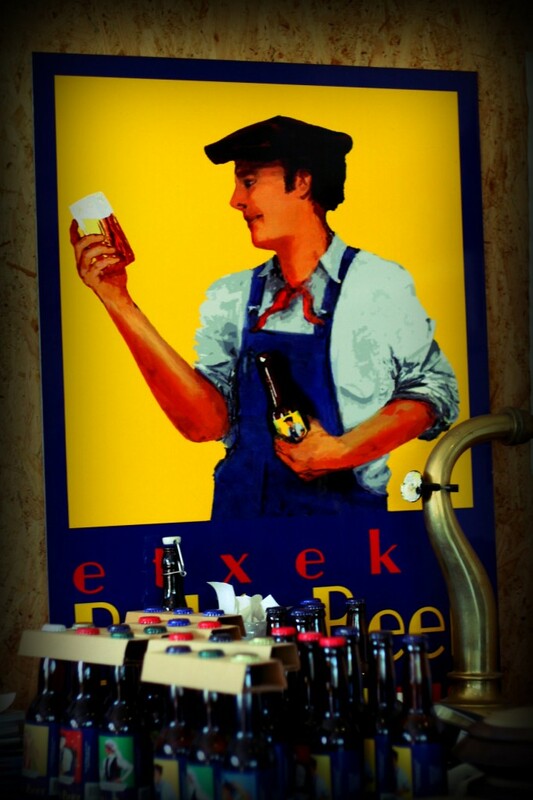 That’s why we packed up recently to visit Etxeko Bob’s, an artisan brewery in the south of France. This microbrewery makes about 60,000 liters of rich, flavorful brews. Bob is an English expatriate who has been brewing about seven years. 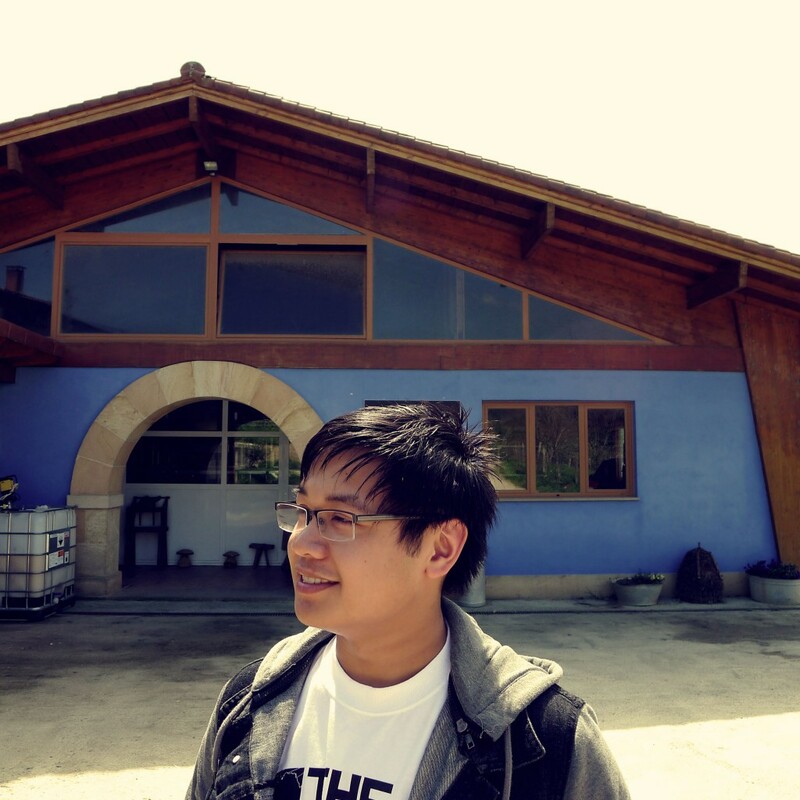 He works with local restaurants of the highest caliber, designing beer-focused pairings. He personally supplies, in his retro blue truck, bars and businesses in the area. 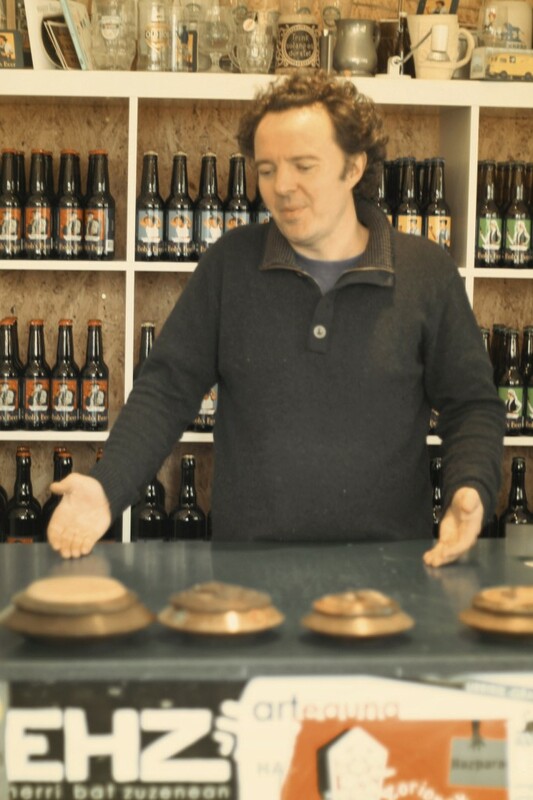 His beers range from traditional to experimental, such as his smoked beer. 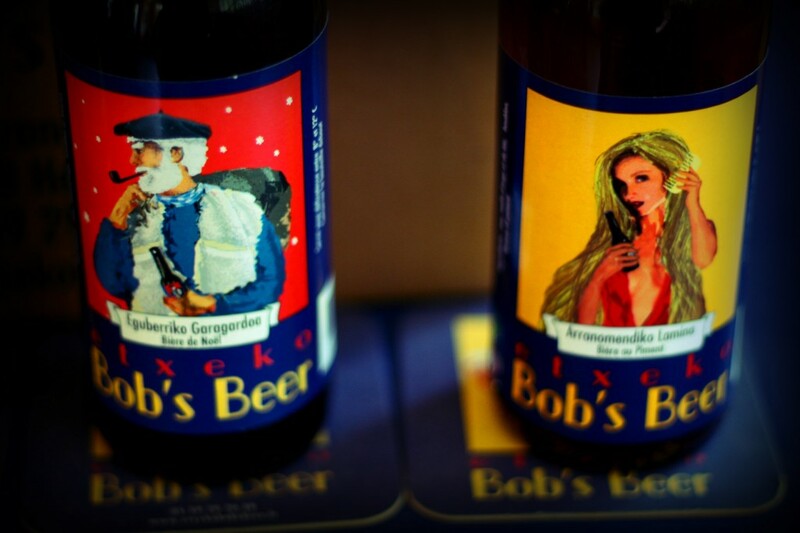 With labels that rely on Basque folklore, raw materials that include water from the neighboring mountains, Bob’s beer has a distinct flavor that can partly be attributed to the terroir of Hasparren, where the brewery is located. The stages enjoyed a tour of the small premises, learning about the art of beer crafting and the less art-y side of opening a business in a foreign country. Hard work, but always with a good beer at the end of the day to reward you. 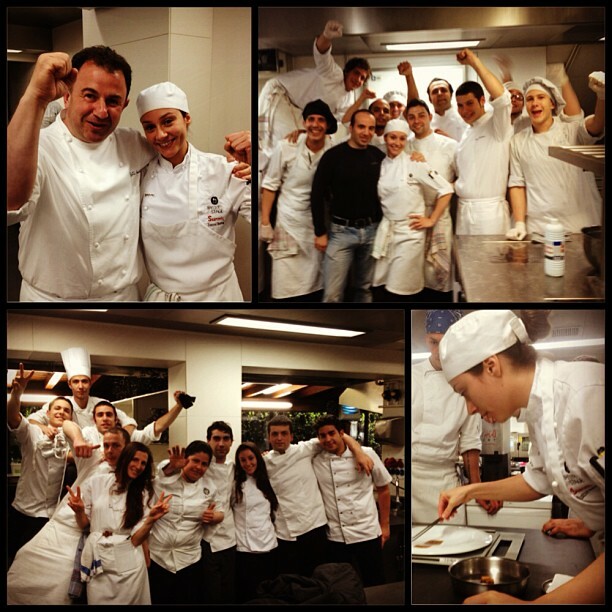 As you probably know, Susy, our Top Chef Sammic Scholar, is well into her stage at Restaurant Martín Berasategui. 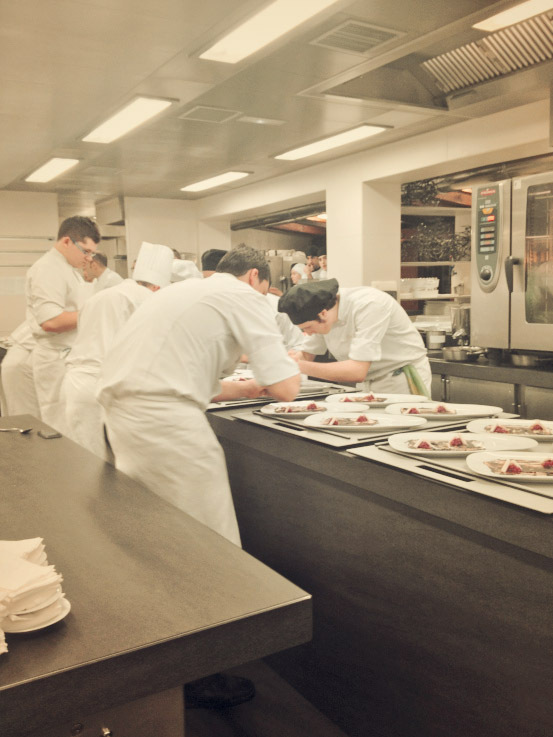 So how tough is it to be integrated into this level of restaurant’s kitchen culture? “By week two I’d added about 50 new words to my Spanish vocab. 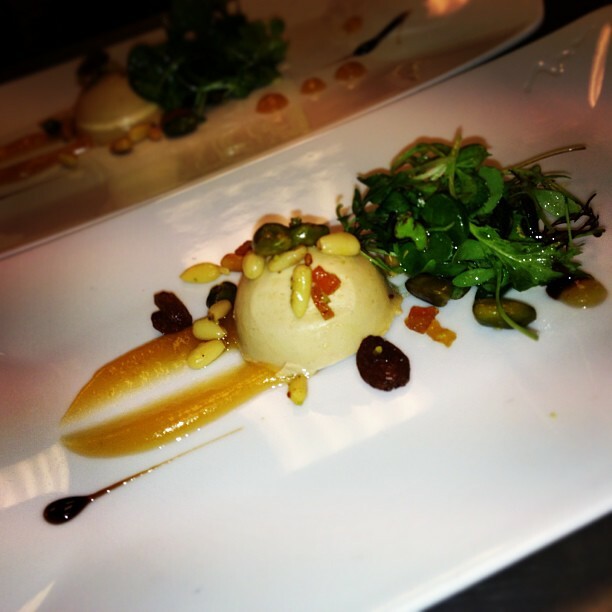 I felt 110% more comfortable on the station and in the restaurant, ” says Susy. One of the major pluses of working at a restaurant of this caliber is the product that comes through the door. From purveyors that bring their catch an hour after they catch it to exotic ingredients, there are plenty of opportunities to be impressed. Check out Susy’s photo of some very rare marine life that came in recently. Anyone know what they are? Yep. 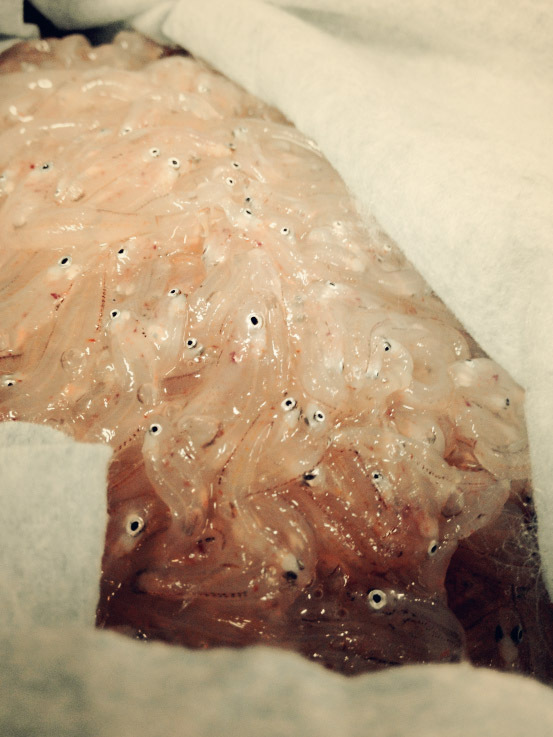 Baby eels, that sell for over $1000 a kilogram. Read more and check out more pictures on her blog.